Come see this spacious, elegant, pre-war home at the Eddystone! 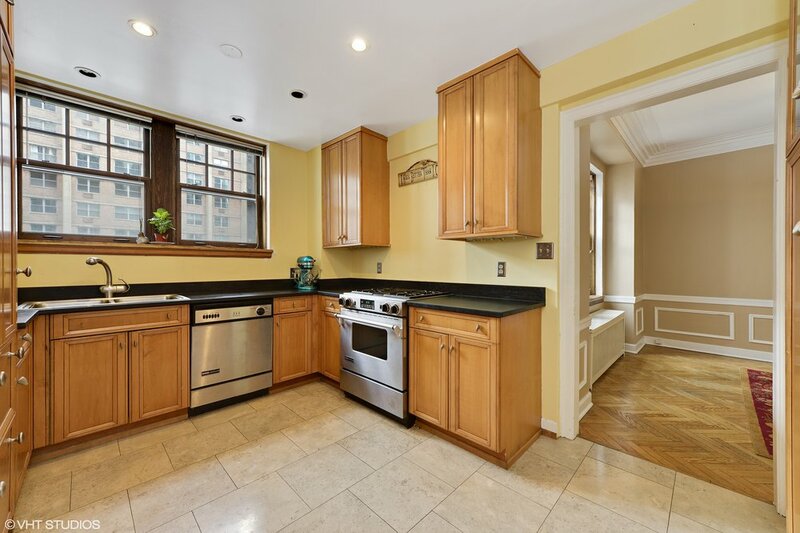 This beautifully maintained split 2 bed 2 bath condo features gorgeous oak herringbone flooring, high ceilings and crown/base moldings. Walk into your barrel-vaulted foyer and enjoy your huge, separated dining room and living room spaces. The sun-filled chef's kitchen boasts Granite counters and Subzero and Jenn-Air appliances. 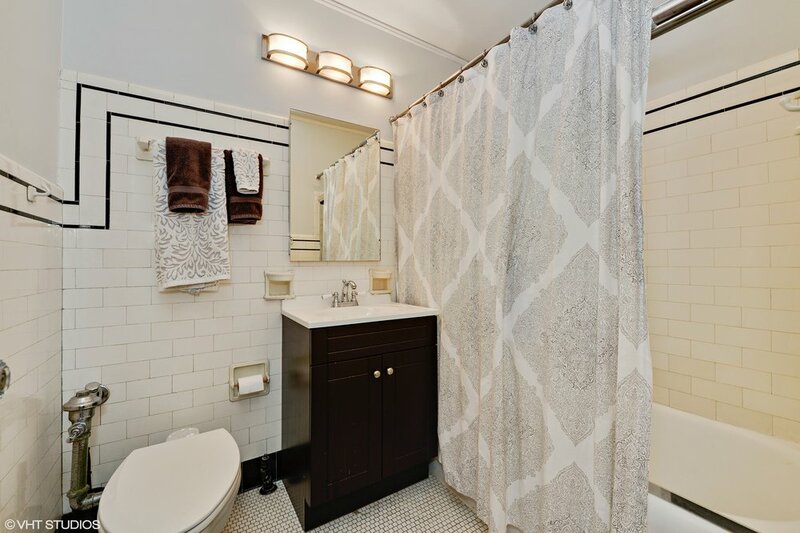 Both bathrooms feature black and white Subway tile and Swedish showers specific to the period. In unit washer and dryer! Don't miss out on this classic Lakeview home; it's a MUST SEE!